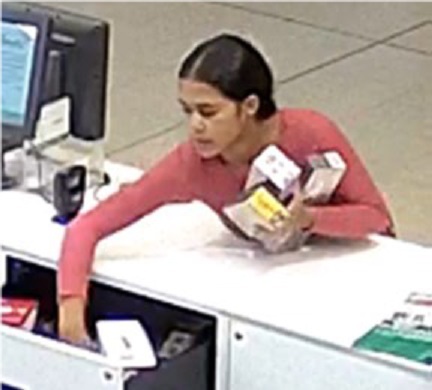 Around 7.50pm on Thursday 21 March 2019, a woman was waiting to be served at the service checkout at a supermarket on Burrendah Boulevard in Willetton. As staff were busy, the woman reached forwards and was able to open a drawer containing cigarettes. 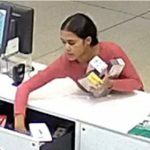 Several cartons were removed and the woman ran from the area in company with two other women (not pictured). The cigarettes have a retail value of over $1,000. 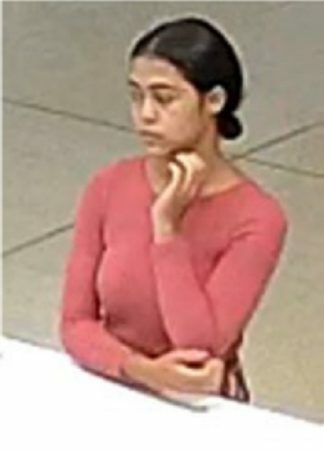 The woman is described as: Around 18 years of age, thin build with dark shoulder length hair tied back. She was wearing a pink top. If you have any information about the identity of this man or details of this offence please contact Crime Stoppers on 1800 333 000 or report online at www.crimestopperswa.com.au. You can remain anonymous if you wish and rewards are available once charges are laid. Please quote Reference Number 9218.